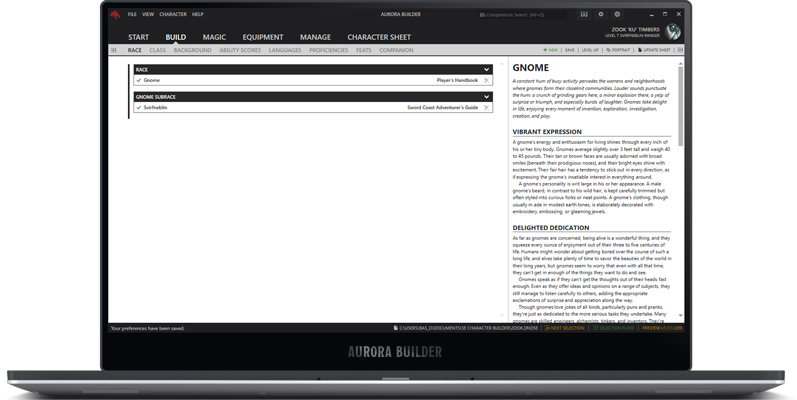 The Aurora Builder is a free tool that lets you create characters for your dungeons and dragons game using the bundled content, your own content, and content created by others. Feel free to support the development of this project by making a donation. You can become a patron and pledge any amount you desire. Take a stab at creating your character today. Concoct your own special homebrew. This website is not affiliated with, endorsed, sponsored, or specifically approved by Wizards of the Coast.